San Francisco is in the midst of another boom. But this isn’t simply another tech boom. It’s a restaurant boom, the likes of which the city hasn’t seen since the original dot-com rush of the 1990s. Probably the most important restaurant to emerge in the past couple of years is Saison (178 Townsend St.; 415-828-7990), whose chef and owner, Joshua Skenes (formerly of Dana Point’s Stonehill Tavern), made the bold gamble of moving Saison from the Mission District to a new loft-like space in South of Market, where he built a serene open kitchen and surrounded it with only a couple dozen seats. He established a tasting-menu-only format that immediately positioned the restaurant as the city’s most expensive dining proposition. Nobody balked. The opening gambit to dine here is $250 per person, guaranteed by credit card at the time of reservation. And if you try to cancel within seven days of the date of service, you will be charged in full. But in reality, the cost to dine far exceeds that deposit. Unless you plan to drink tap water and forgo any of the little extras, the final tab will be double that or more. I opted for the standard wine pairing and a couple of cocktails and walked out for just over $700 per head, making this easily one of the most expensive restaurants in the world. Is it worth it? I’m lucky to have dined at a dozen restaurants over the years – in Monte Carlo, Singapore, Tokyo, London, New York, Paris – that cost equally that much, give or take a hundred bucks. And I can’t remember a single instance where I’ve enjoyed not just the experience but every single bite of food as much as I enjoy Saison. For more than three hours, the dishes keep coming, every one an entirely new flavor, yet never does anything taste like it could have been born out of boredom, which is too often the case with restaurants like this. 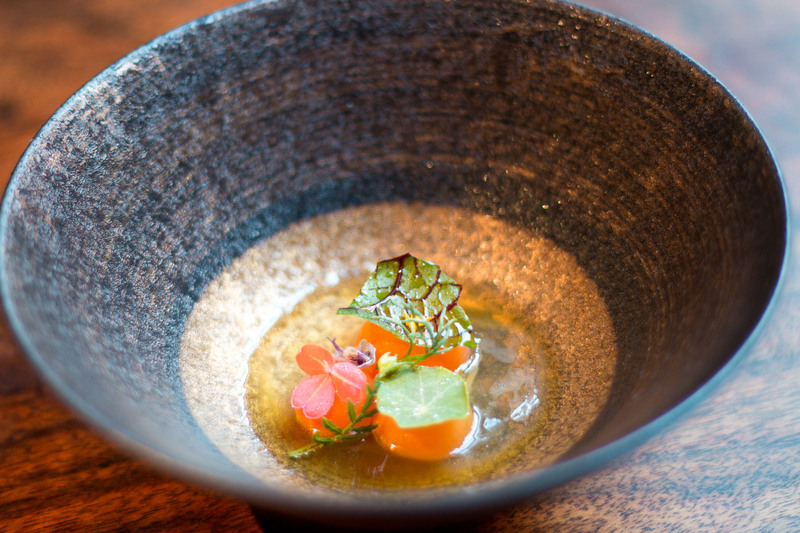 Rather, every dish is a revelation without ever being weird or unsettling. It’s exactly this element of strange familiarity in every single dish that makes Saison so special. Almost every dish is touched in some way by smoke from a small wood fire that smolders in the corner of the kitchen. Every dish builds upon the one that comes before it, complements it, connects with it and propels the story forward: soda water with pineapple and elderflower; a delicate custard with sea urchin and grilled turnip; corn pudding topped with caviar and tomato gelee; abalone roasted over the embers; pearl-size tomatoes in a grilled tomatillo consommé; a loose risotto that’s completely buried beneath black truffle; milk-fed lamb with grilled nightshades … . The service is impeccable, too, the very epitome of grace, every step of the way. Is it worth it? Yes. I honestly believe Saison is the best restaurant in America right now. Fortunately, not everything that’s great in San Francisco right now is as expensive as Saison. 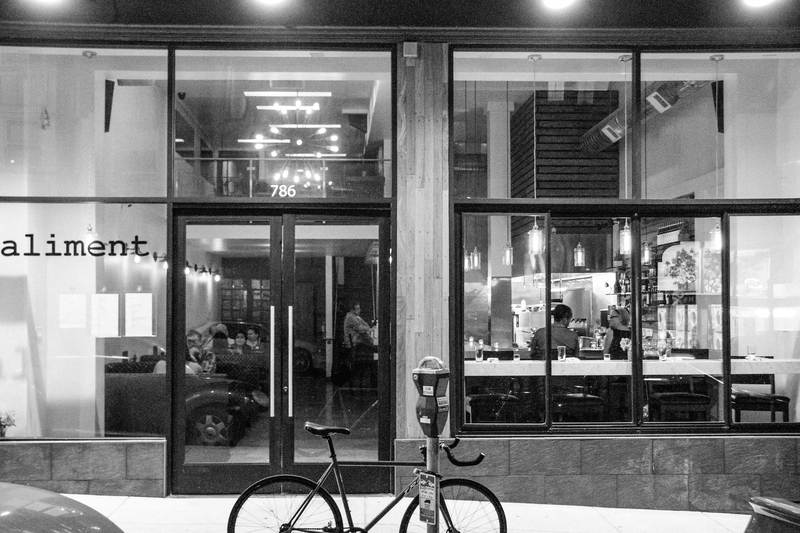 Some of the best new restaurants are low-key neighborhood places, like Aliment (786 Bush St.; 415-829-2737) or Mason Pacific (1358 Mason St.; 415-374-7185), both in Nob Hill. The former occupies a boxy gallery-like space with an open kitchen that turns out interesting, slightly Asian twists on comfort food, like fried Brussels sprouts with fish-sauce caramel or a hanger steak with forbidden rice and charred escarole. 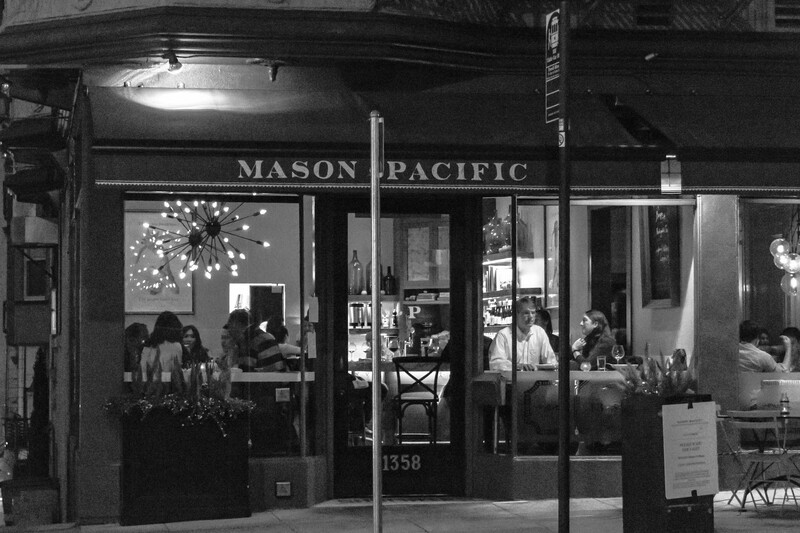 Mason Pacific is slightly more chic, tucked into the tiny ground-floor corner of an Edwardian apartment building that overlooks the old cable car route. Chef Sean McTiernan serves buttermilk-fried chicken with green Tabasco remoulade, and he tosses fresh spring peas with kimchi. But don’t let those things distract you. Go straight for the burger, showered with black truffles and perfectly paired with a glass of world-class Nebbiolo. On the edge of Chinatown in the financial district, the House of Xian Dumpling (925 Kearny St.; 415-398-1626) opened last year next door to the legendary House of Nanking, almost as a dare. 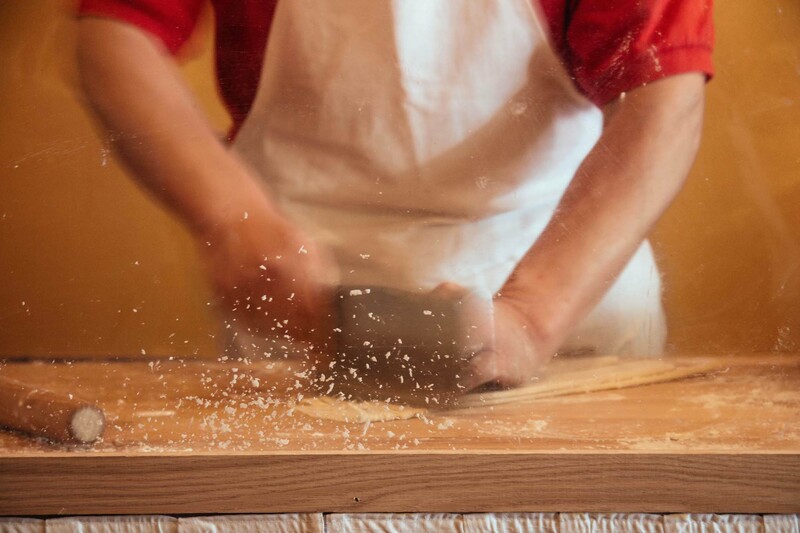 An old man wearing a protective face mask stands all day in what looks like a disassembled Popemobile in the middle of the dining room, where he makes fresh noodles that quickly find their way into spicy stir-fries and soups. Service is every bit as gruff and rough as you might expect from Chinatown, but just when you start to think the staff hates you, they smile. The Shanghai soup dumplings are very good and wildly popular, but the vegetarian potstickers are far better. The braised beef noodle soup is outstanding, especially if you ask for it extra-spicy. South of Market continues to be one of the city’s fastest-growing neighborhoods, with construction cranes everywhere and with seemingly new restaurants on every corner. An upscale gastropub called The Cavalier (360 Jessie St.; 415-321-6000) opened at the hip Hotel Zetta, adjacent to the Westfield mall. Filtered sunlight beams into the pub through large arched windows, casting a soft glow upon tufted leather banquettes and vintage-looking bistro tables. 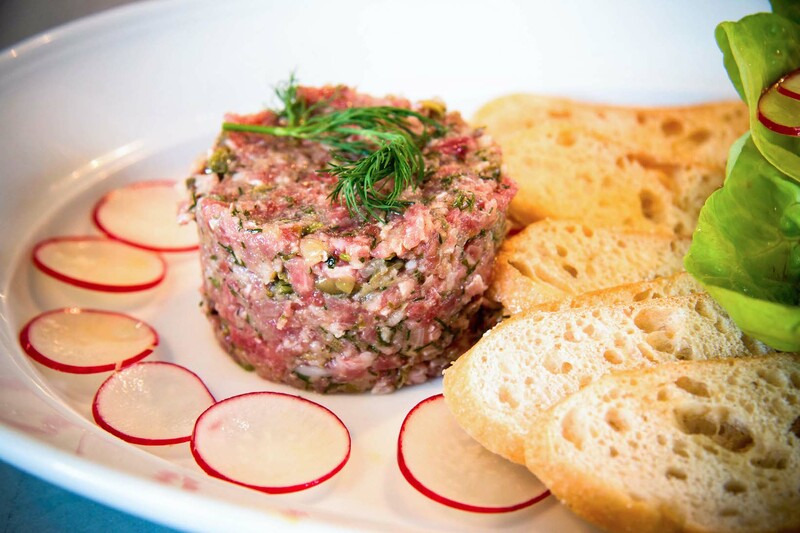 The classic beef tartare is superb, as is the sticky toffee pudding. Over in the Mission district, the folks behind perennially popular Pizza Delfina have opened a more upscale osteria called Locanda (557 Valencia St.; 415-863-6800), where tattooed young chefs stoke a wood-fired grill and crank out extraordinary handmade pastas, artisan salumi plates and pancetta-wrapped guinea hen legs with polenta. The sweet smell of wood smoke perfumes the air at Central Kitchen (3000 20th St.; 415-826-7004), too. Chef Thomas McNaughton’s menu is short, with only a few large and small plates that change each night, like wood-roasted cucumbers with marinated squid and black garlic, or a sultry mixed grill of pork belly and blood sausage. The incredible wine list is filled with names that even the savviest collectors have never heard of and reminds us just how vast and untapped the California wine industry has become. And then, of course, there are the celebrity chefs, three of whom are responsible for some of the city’s hottest new restaurants: Tosca Cafe, Hard Water and Coqueta. Tosca (242 Columbus Ave.; 415-986-9651) is a dark and moody gastropub with a vintage speakeasy vibe opened by chef April Bloomfield of New York’s Spotted Pig. She brings her renowned head-to-tail cooking to bear on Italian cuisine, serving chicken hearts and pig tails. She puts chicken livers in rigatoni and tops her bucatini with pork jowl. And it’s absolutely delicious. Celebrity chef Michael Chiarello, long known for his extraordinary Italian cooking in Napa Valley, turns his focus to Spanish at Coqueta (Pier 5, The Embarcadero; 415-704-8866), a high-end tapas bar on the Embarcadero where he serves wood-grilled shrimp with a fried egg, matchstick potatoes and spicy chorizo salsa. And just up the Embarcadero from Coqueta, chef Charles Phan, of Slanted Door fame, has opened an intimate oyster and whiskey bar. 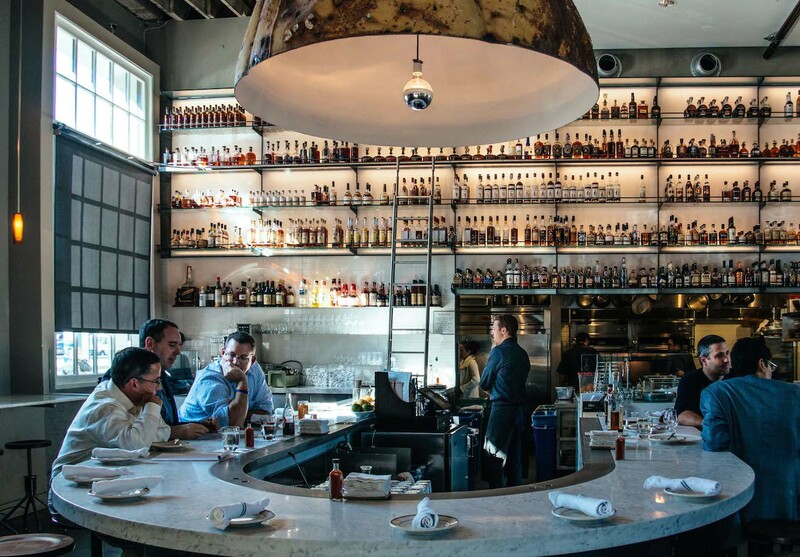 His menu at Hard Water (Pier 3, The Embarcadero; 415-392-3021) appears to draw inspiration from the Louisiana bayou and the Mississippi Delta, with pork belly cracklin’s, seafood gumbo and cornmeal-crusted alligator nuggets. And the whiskey’s pretty good, too. This article originally appeared in the Orange County Register and Los Angeles Register. To view more of my work for the Register, check out the archives. For more dining and travel inspiration, I invite you to follow me and join the conversation on Facebook, Instagram and Twitter.